Hello everyone! April promises to be an amazing time of the year in London with lots of events happening all around such as the International London Marathon and of course Easter. A well-deserved four day weekend, the socially acceptable devouring of chocolate, and the return of the eagerly-awaited sun – Easter is coming. The options are endless when it comes to how you should spend your first bank holiday of the year in London. 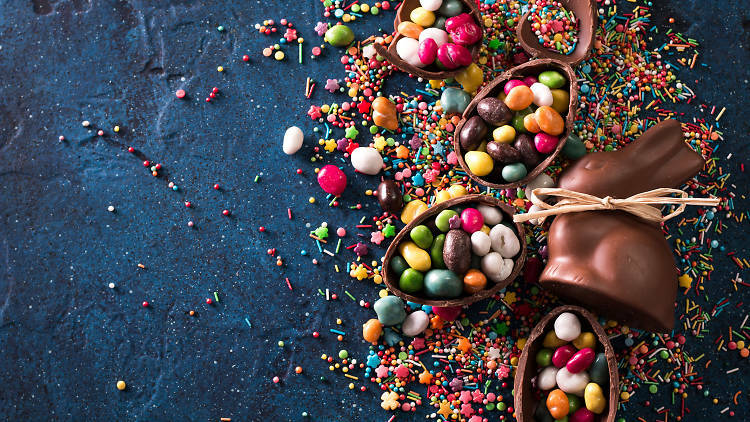 From attending the best Easter parties to locating the finest egg dishes in the city, to delicious Easter Sunday lunches, there’s so much to fit into the long weekend. This year, Easter Sunday falls on April 21 2019 however, there’s plenty of fun to be had in London from Good Friday to Easter Monday (Friday April 19 – Monday April 22 2019). Join the crowds of spectators lining the 26.2-mile route of the world-famous London Marathon and cheer on your favourite runners as they break a sweat while wending their way through the capital. The race is on and the 2019 London Marathon is nearly upon us! Join cheering crowds and fancy dress fundraisers at the world-famous London Marathon. Covering 26.2 miles and shutting down roads left, right and centre, it takes over the city for one weekend every April. Ahead of this year’s race, here’s everything you need to know about running the London Marathon 2019, whether you’re a road-pounding-pro or a newbie dressed as a stormtrooper. What is the London Marathon? Attracting professionals, celebrities and some truly impractical outfits, the London Marathon is a 26.2 mile race around the streets of London. One of the key London events in spring, it attracts just as many supporters as participants, and the atmosphere on the day is absolutely buzzing. If you’re out and about in the afternoon of marathon day here are the best places to catch all the action and expect to see weary runners propping up the bar at pubs across the capital. Those who’d like to run can enter by ballot or take up a fundraising place via their favourite charity. Where is the London Marathon? The route starts south of the Thames at Blackheath and passes through Greenwich before crossing the river over Tower Bridge. It then continues through central London before finishing in glory in front of Buckingham Palace. The 2019 marathon takes place on Sunday April 28. The event will be streamed onto the big screens at Blackheath where the 40,000 runners begin the race. Or, if you fancy watching from the comfort of your own home it’ll be live on air in the UK on BBC1 and BBC2, coverage starts before the first race at 8.55am. See you all in May and keep in touch!